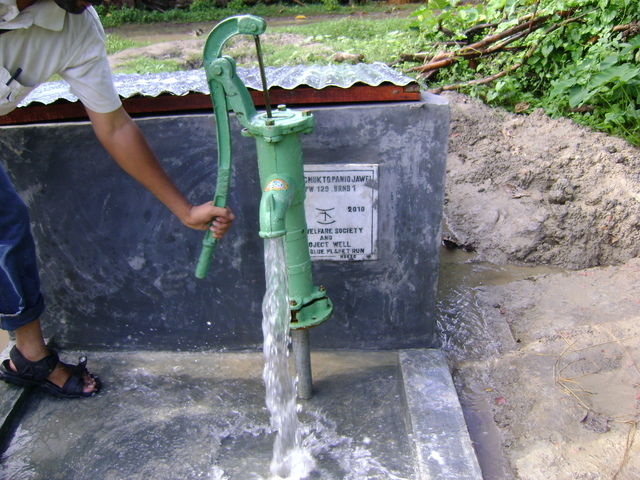 This bore-dugwell # PW129BRNB1, is in Bornobariya village of Gaighata block of North 24 Parganas district. Sadhon Haldar donated the site for the community. According to the register record of July 2011 the total consumers=34; Families=8; Male=18, Female=16, children <5 = 1 and students =15.